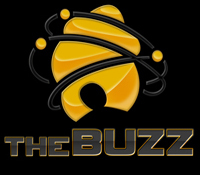 Would you like to be featured on TheBuzz? Moving forward, you must be listed in GigHive’s independent artist directory to be considered. After your site has been accepted into the GigHive music directory, you will be able to submit press releases, videos and news about your project to n.pacheco@gighive.com. Survival Guide have revealed another single off of their upcoming vinyl release called “Symptoms”. South Carolina pop/rock act, The Fire Apes, have released their highly anticipated new album, A Life In Letters. The indie band is fronted by lead singer, songwriter and guitarist, John Seymour, who often writes metaphorically about love and relationships using literary references, musically framed with melodic hooks. Thrice have been creatively working the past few months on what will be their seventh studio album, set for release early Fall 2011 on Vagrant Records. They have released their first behind-the-scenes video of the recording process. Long Island indie band, My Summer, have announced select summer tour dates in support of their forthcoming record to be released Summer 2011. Formed in 2005 by Mike Longo (guitar, vocals) and Joe Lambiaso (drums), My Summer quickly established themselves as a staple of New York’s indie rock scene, picking up band members Dave Ferrara (guitar) and Joe Gruber (bass) along the way. Before year’s end, they released their first EP. Check out the debut mixtape of the emcee IZ. The independent artists is the newest member of 1side music. Google music has finally launched, but they are delaying the launch of the music store. The company is waiting for major labels to sign on. Why can’t Google launch the store with only independent artists that have signed on? 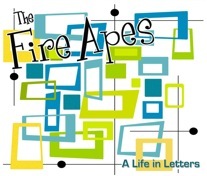 Indie Band The Fire Apes are gearing up to release their latest album, A Life In Letters, out May 23. The South Carolina pop/rock act is fronted by lead singer, songwriter and guitarist, John Seymour, who often writes metaphorically about love and relationships using literary references, musically framed with melodic hooks. His music and words can elicit feelings that range from joy and happiness to commiseration and longing. He credits The Beatles, Oasis, Green Day, The Pretenders and Fountains of Wayne as strong influences. “A Life in Letters” is guaranteed to be the summer music must have of 2011.